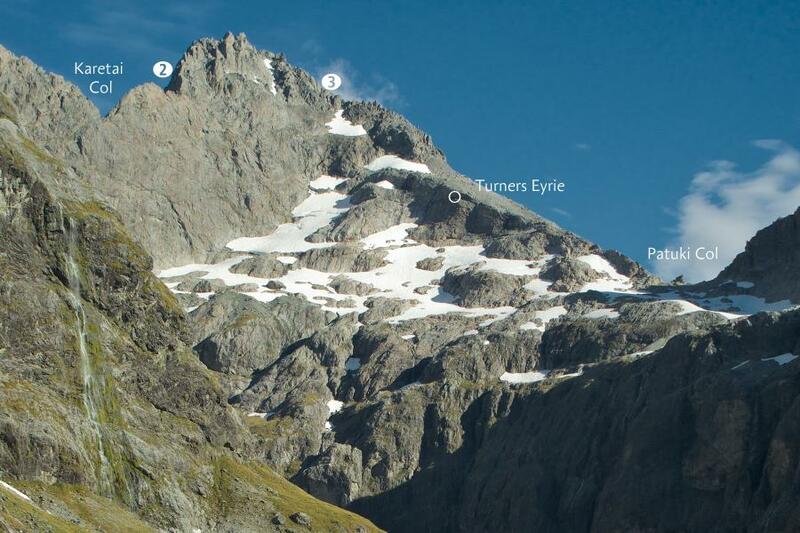 Karetai Peak is the centrepost of the Central Darrans, with three faces of magnificent orange stone rising above the Te Puoho Glacier, the Donne Valley, and Lake Turner. The ridge starts with a 50 metre rock step leading to easier travel to the summit. It is also possible to scramble left above the first pitch, into a gully leading between the summit and the highest gendarme on the Donne Face, and then the top of the West Ridge. The ridge is at first narrow and of good quality rock, but becomes more blocky high on the western side.